They were one of the first animals to be tamed by humans 9000 years ago. They are ‘foragers’ and not grazing animals like cows or sheep. This means they like to climb up and eat branches from trees and bushes too and also other plants. 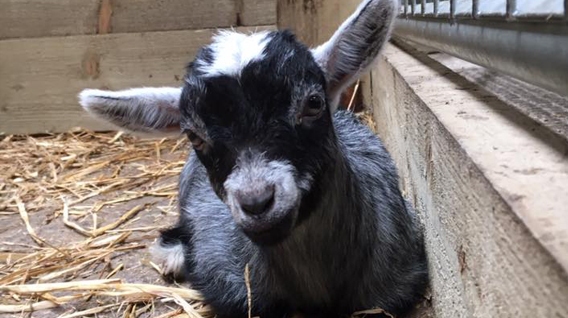 When a goat is giving birth, it is called ’kidding’! A male is known as a BILLY, a female is known as a NANNY and a baby is known as a KID. A group is known as a HERD. 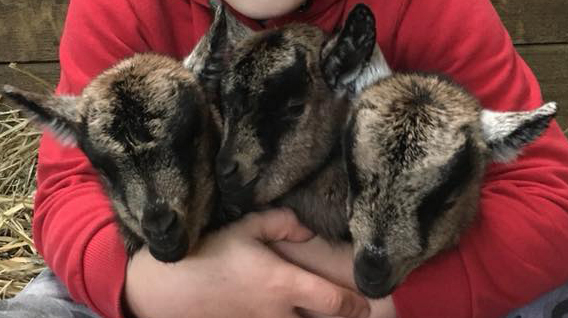 Goats are one of the oldest domesticated species, and have been used for their milk, meat, hair, and skins over much of the world. 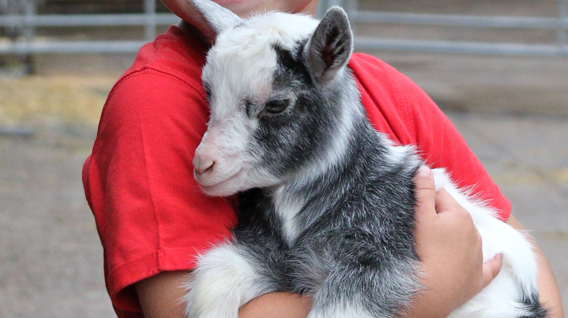 Most goats naturally have two horns, of various shapes and sizes depending on the breed. 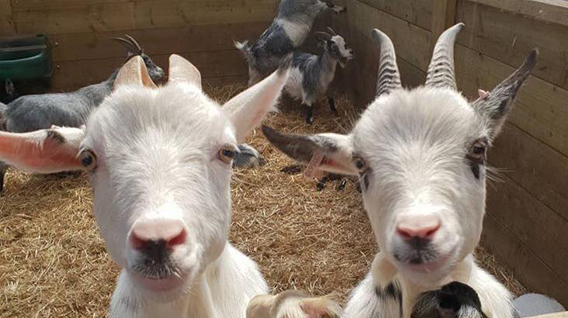 Goats can see at least 320 degrees around their heads with no blind spot in front of them. 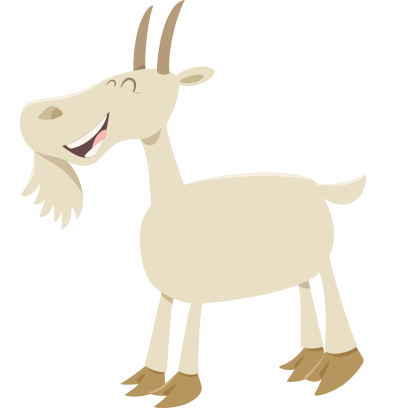 Both male and female goats have beards, and many types of goats may have wattles, one dangling from each side of the neck. Goats are extremely curious and intelligent. They are also very coordinated and widely known for their ability to climb and hold their balance in the most precarious places. 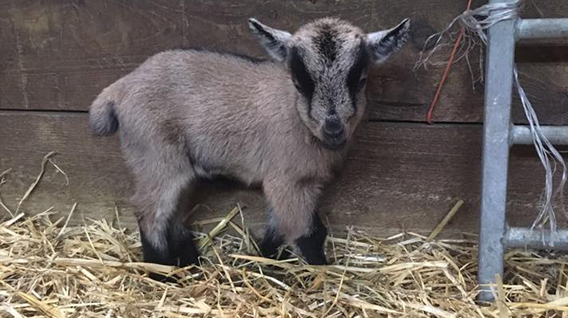 Due to their agility and inquisitiveness, they are notorious for escaping their pens by testing fences and enclosures, either intentionally or simply because they are handy to climb on. LONGEVITY: Between 15 and 18 years. WEIGHT: They weigh between 45 and 60 pounds. SIZE: Can grow between 16 and 20 inches high. DIET: They are browsing animals, will chew on and taste just about anything remotely resembling plant matter to decide whether it is good to eat, including cardboard, clothing and paper. GESTATION: Gestation length is approximately 150 days. Twins are the usual result, with single and triplet births also common.